Mexico is the perfect location for a whole host of wonderful honeymoon destinations. Firstly, if you are looking for a beach retreat, you don’t have to worry about orchestrating the date of your wedding to match the climate of where you want to spend your honeymoon. 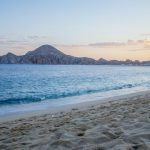 Mexico’s top destinations boast sunshine throughout the year, with the winter months actually claiming the most comfortable weather. 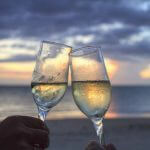 Mexico offers a wide range of different places to choose from for your honeymoon. 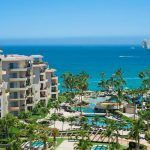 On the Pacific Coast, honeymooners can enjoy the mountains and lush tropical surroundings of Puerto Vallarta with its sandy beaches and fine dining, while on the Baja California Peninsula, Cabo San Lucas and Loreto charm visitors with its desert landscape and dry heat. Mexico also boasts the best of the Caribbean with Cancun offering some of the most idyllic honeymoon vacations, with its turquoise water and white sand beaches. Mexico is also famed for its cuisine, with delicious local recipes as well as international dishes. Cabo San Lucas, Puerto Vallarta and Cancun all host world acclaimed gourmet and wine festivals, which ensures that the quality of the restaurants benefit from the influence of award winning chefs and connoisseurs.